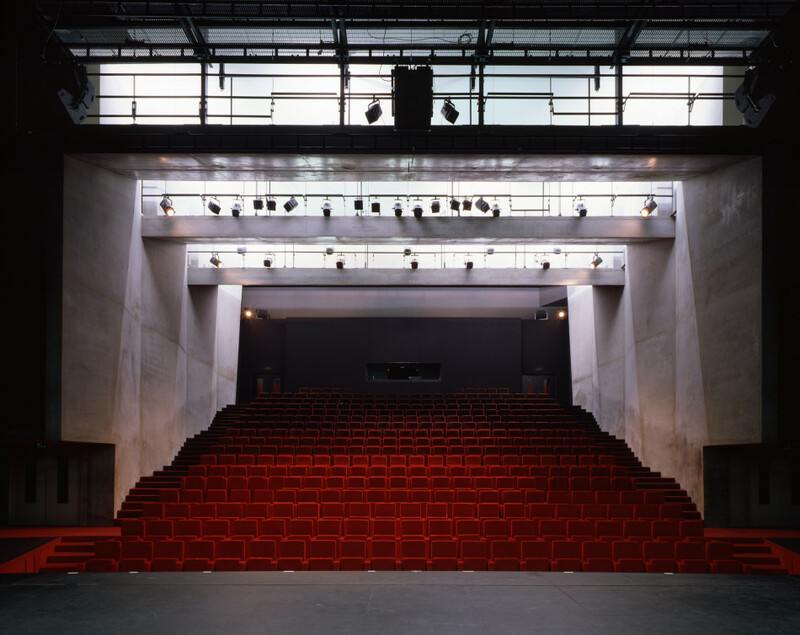 Theatre in the eastern suburbs of Paris (France). 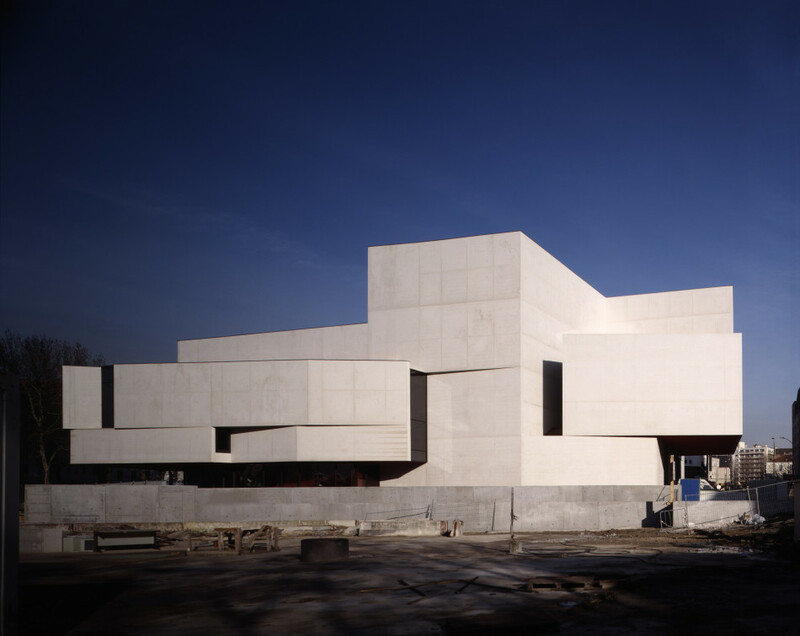 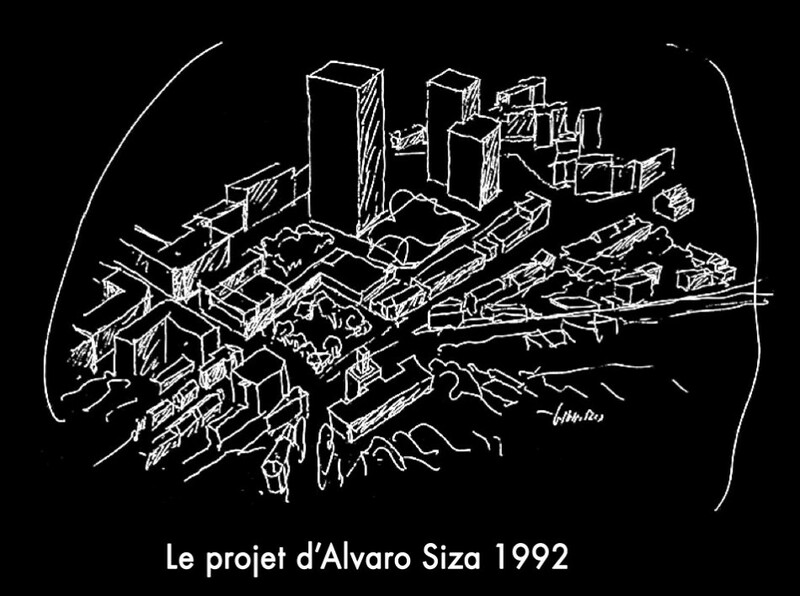 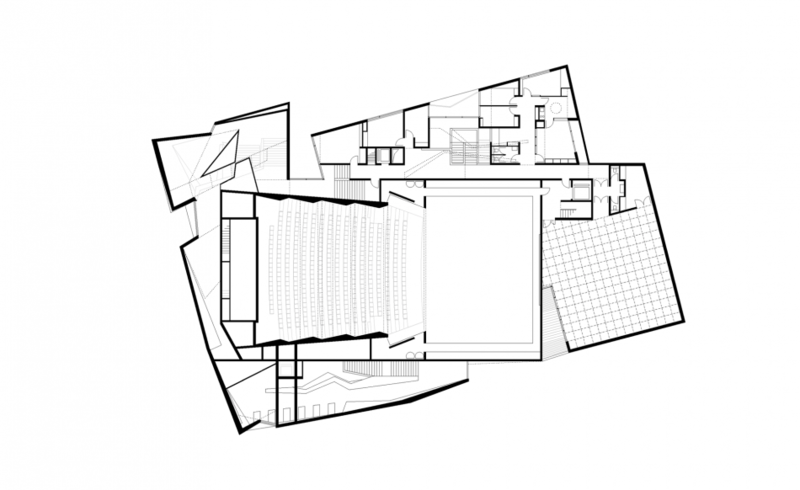 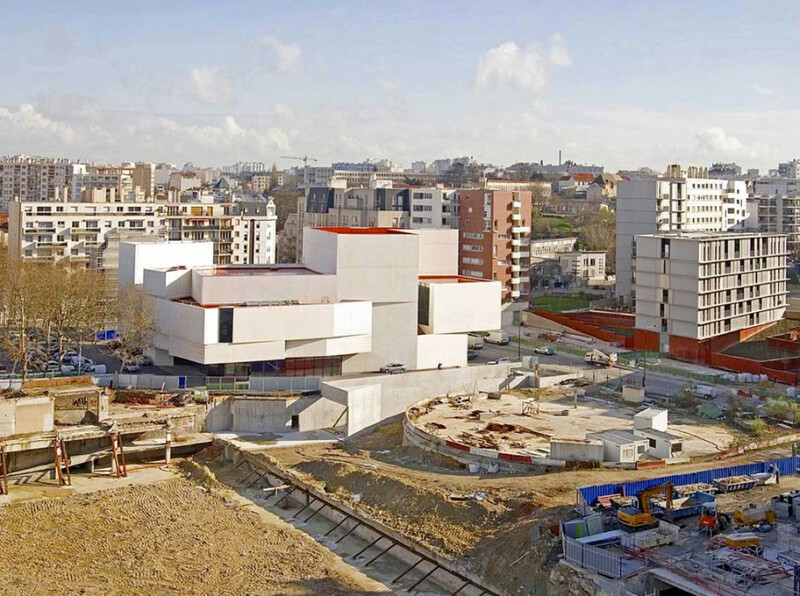 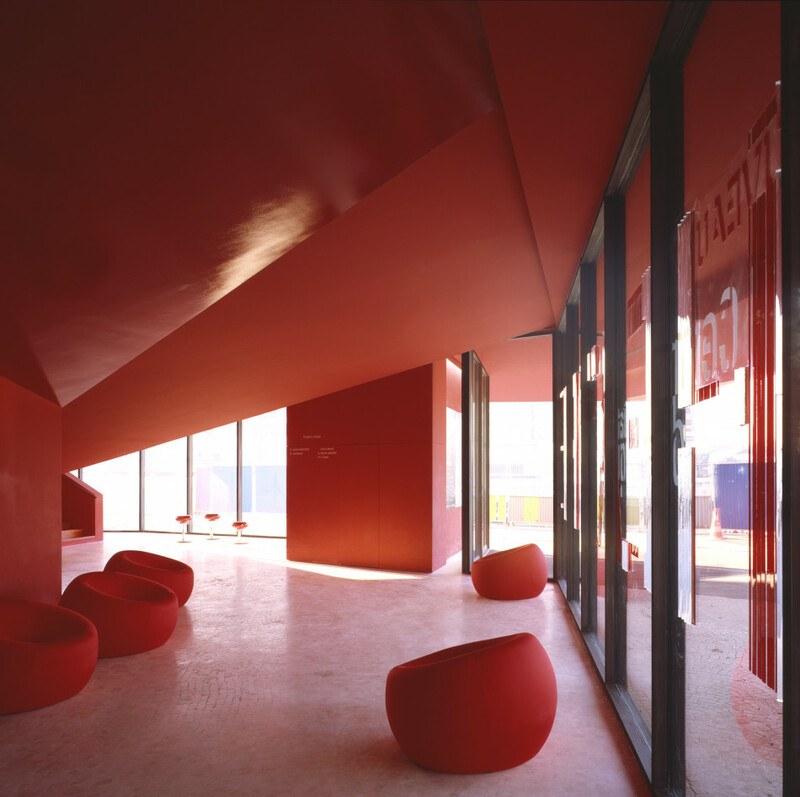 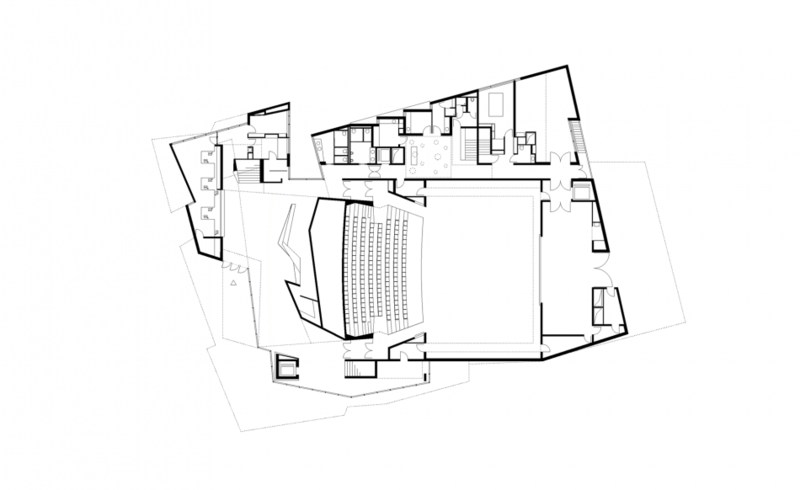 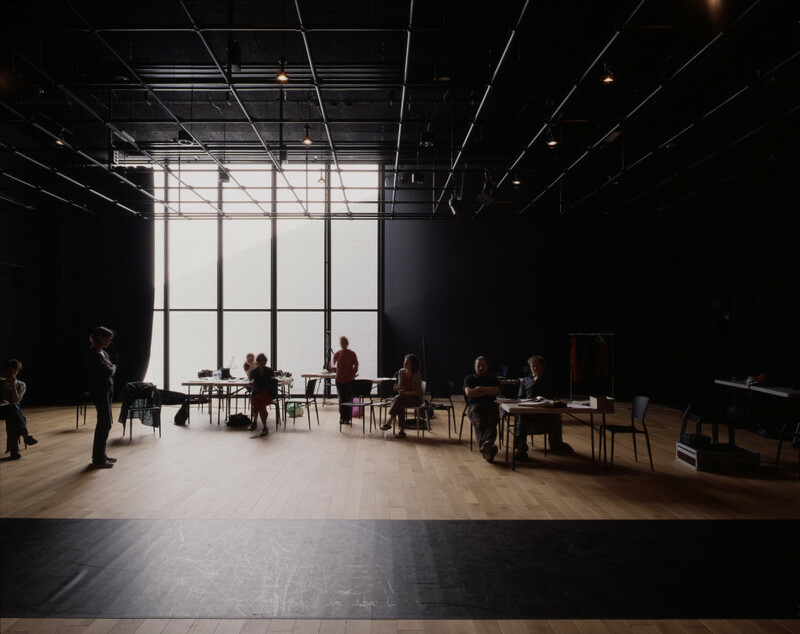 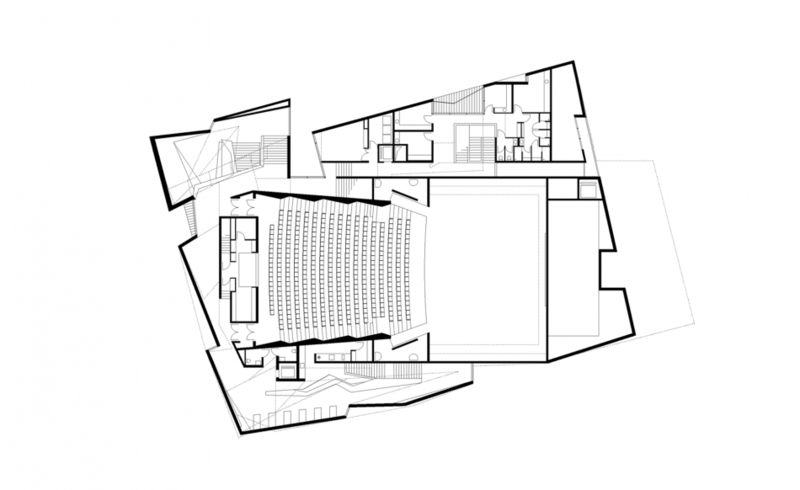 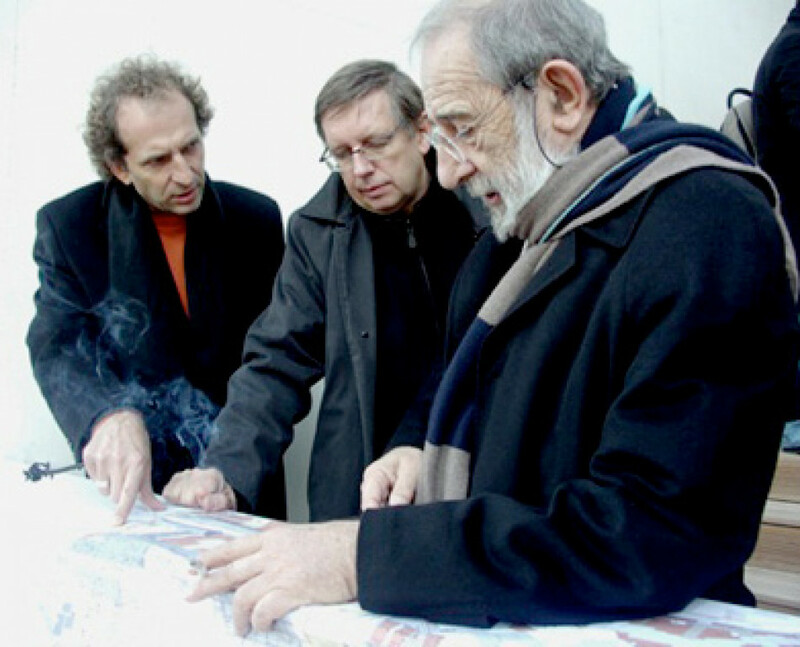 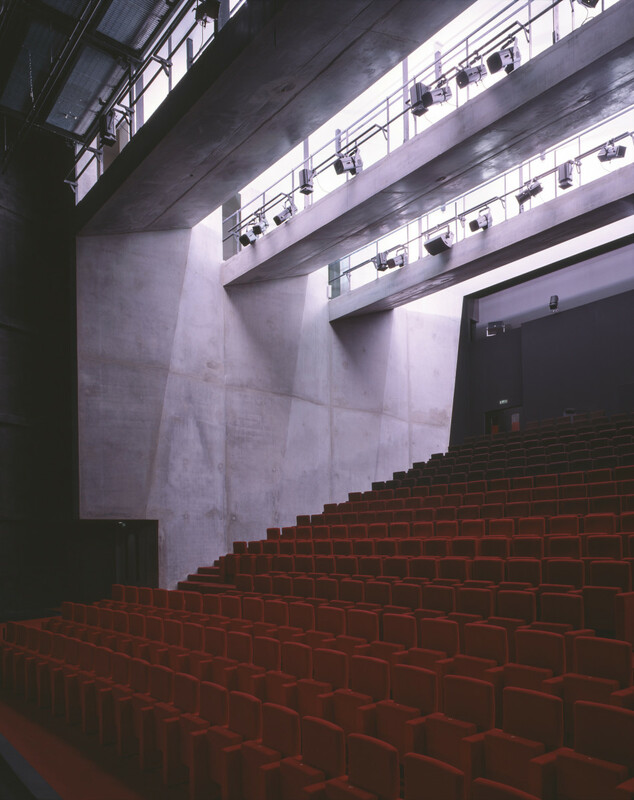 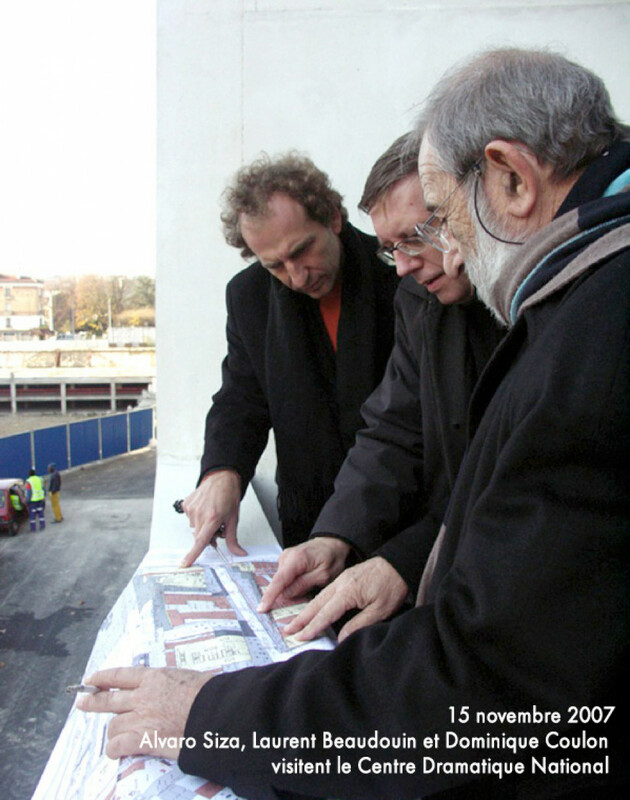 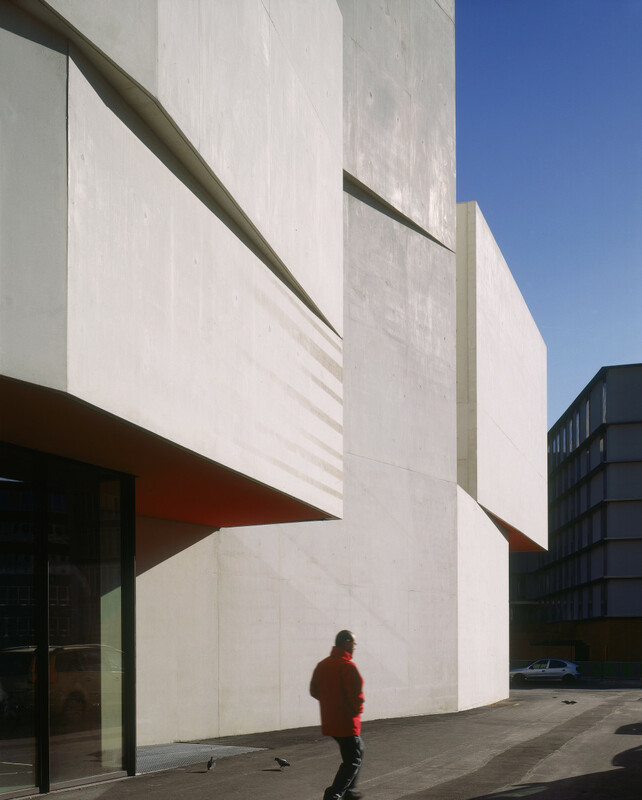 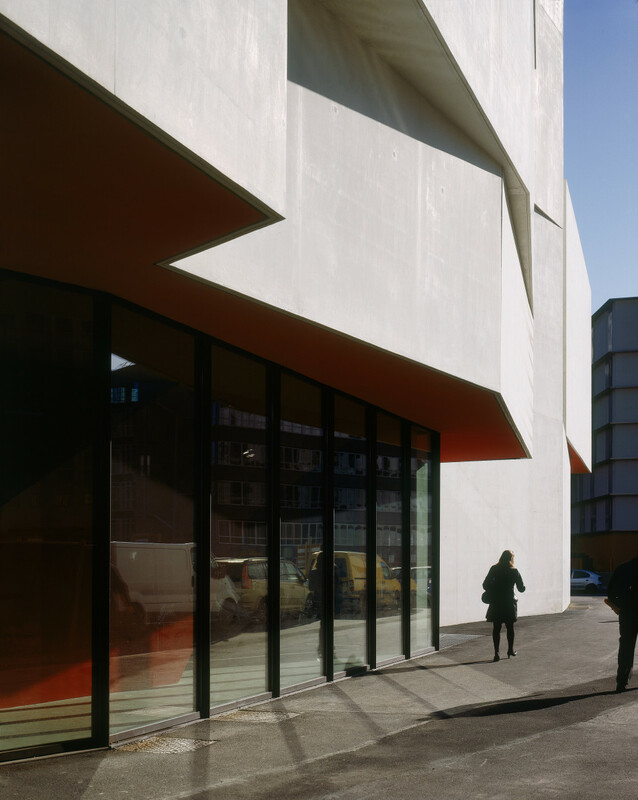 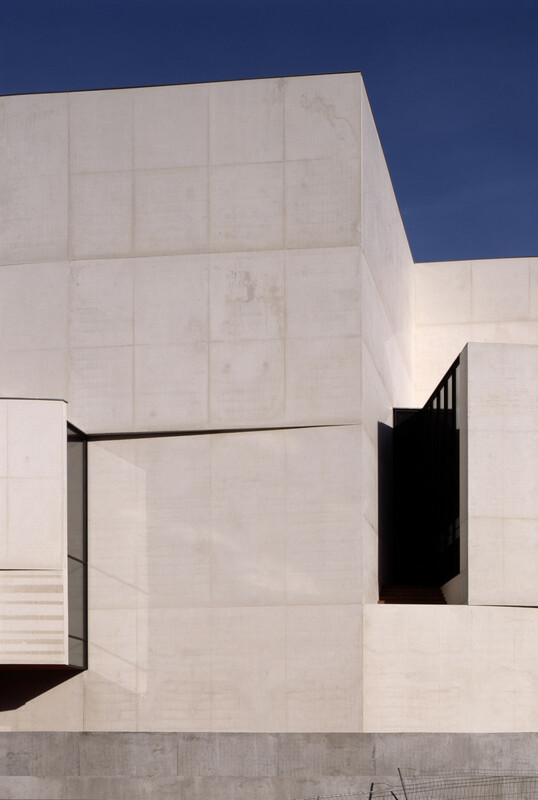 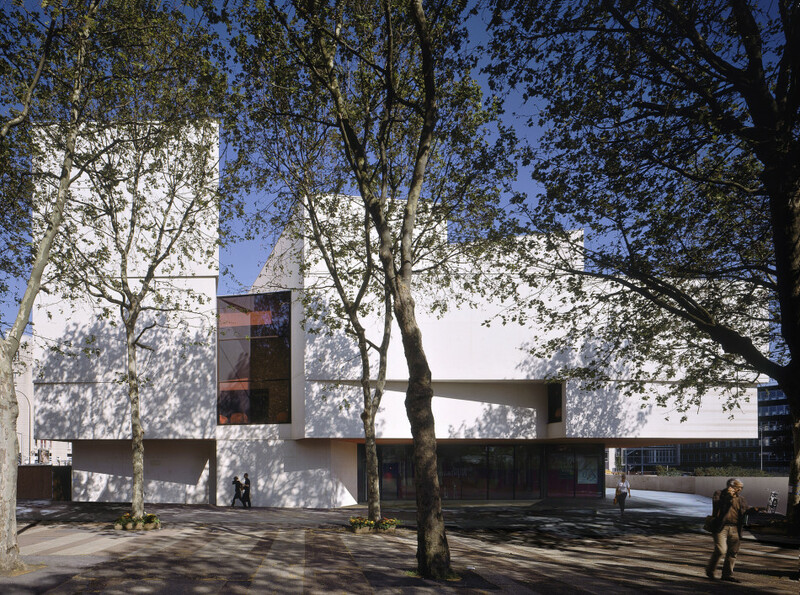 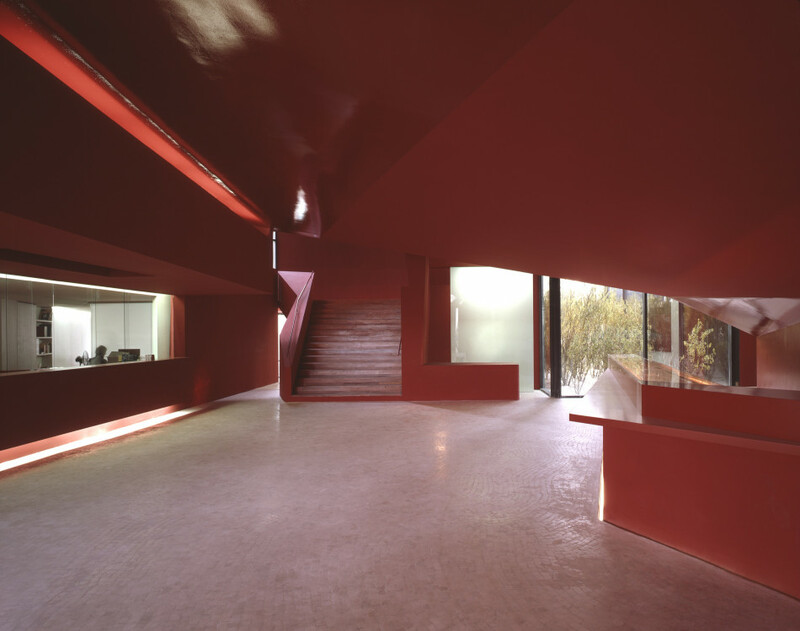 Alvaro Siza’s 1993 master plan – with this State theatre at its heart – attempts to restructure Montreuil’s centre, located east of Paris, following a crude refurbishment in the 1970s. 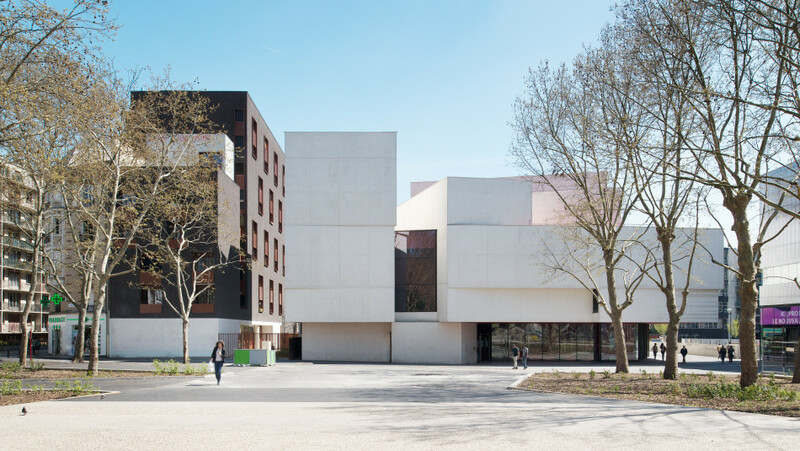 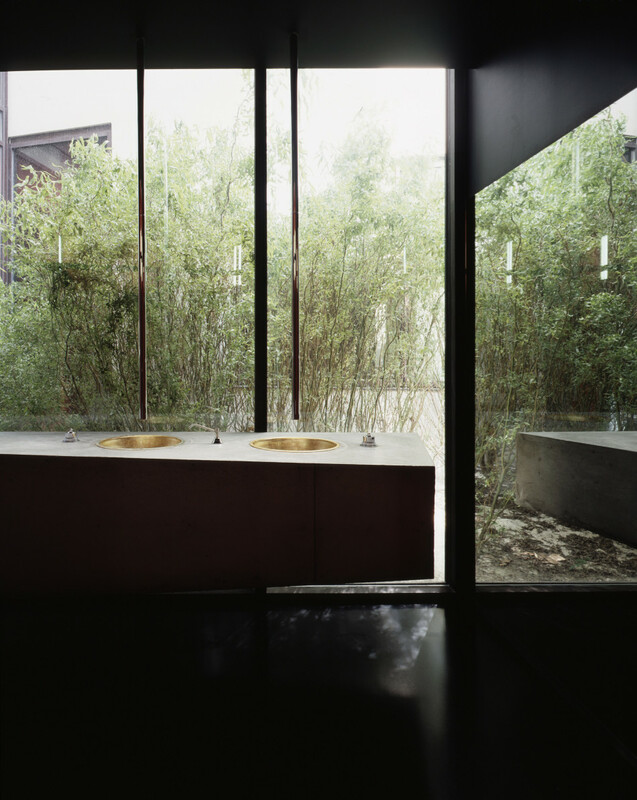 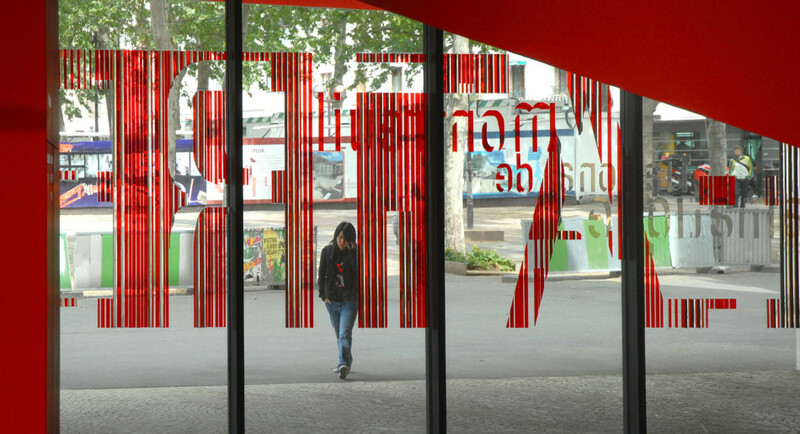 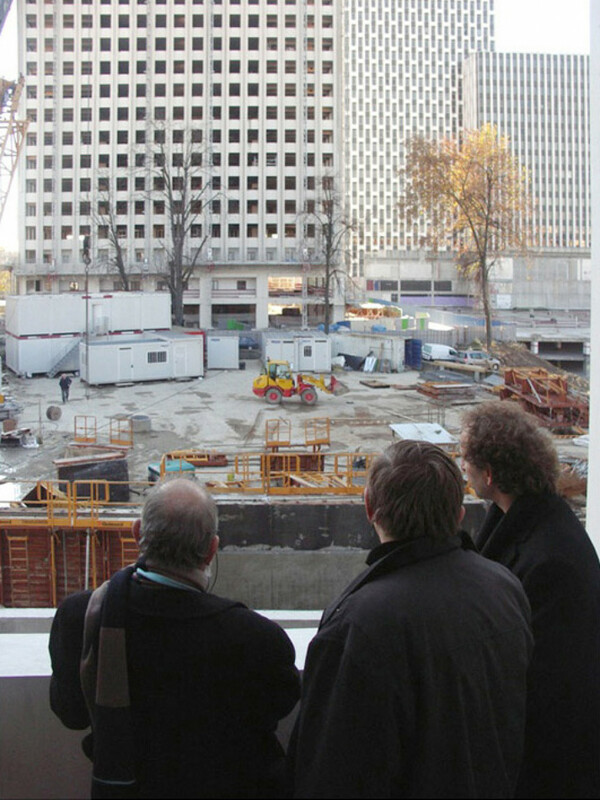 Dominique Coulon has designed a building which mediates between the city centre – with its axis oriented to the Paris Bastille – and the rural environs. 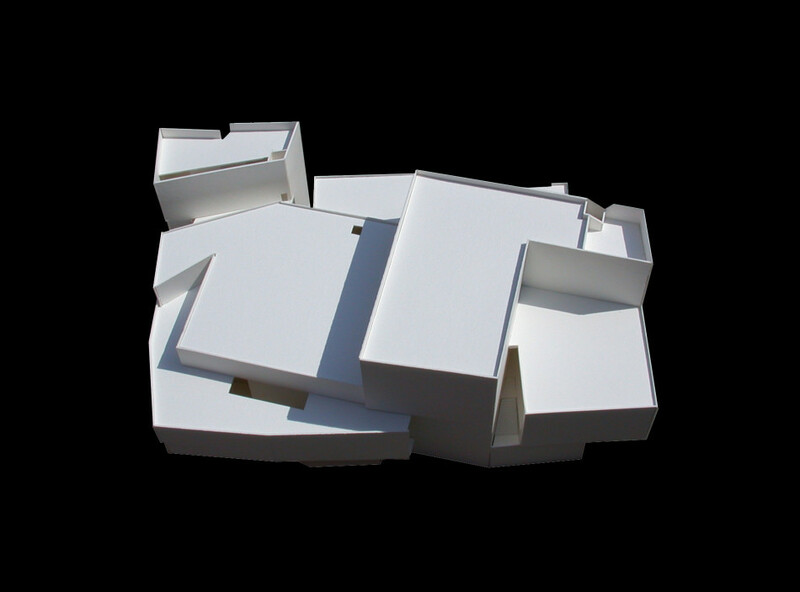 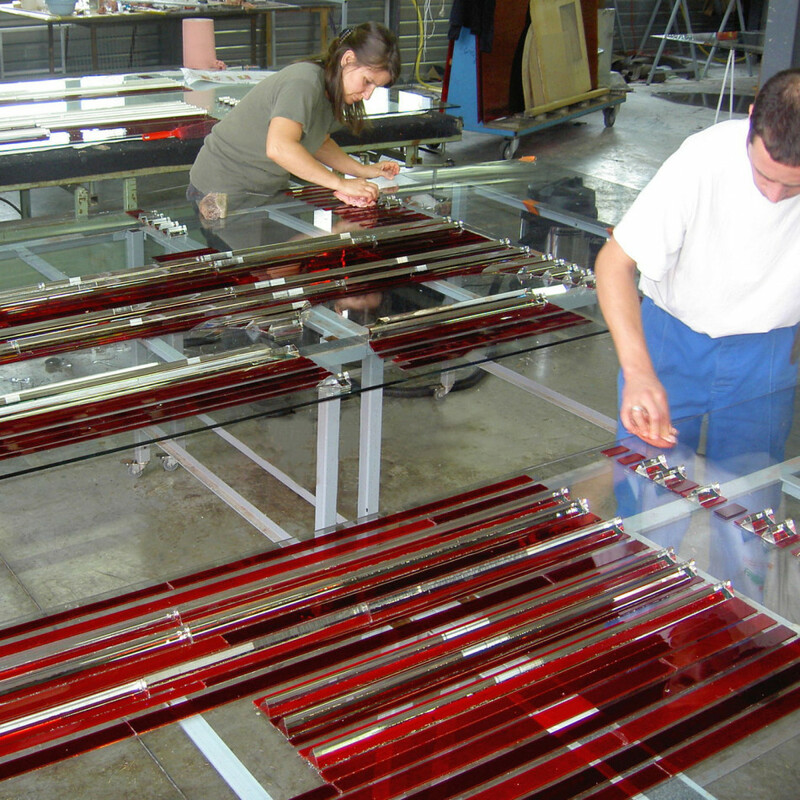 It is like a knot which joins spatial, geographical, urban and symbolic dimensions. 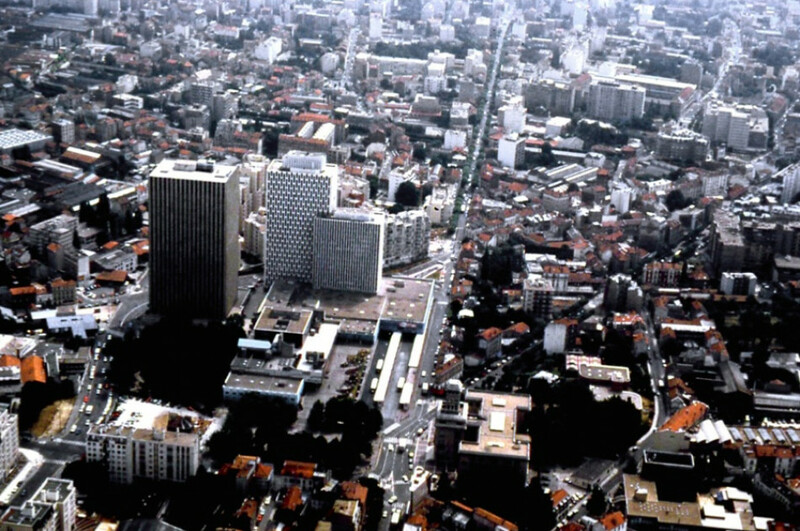 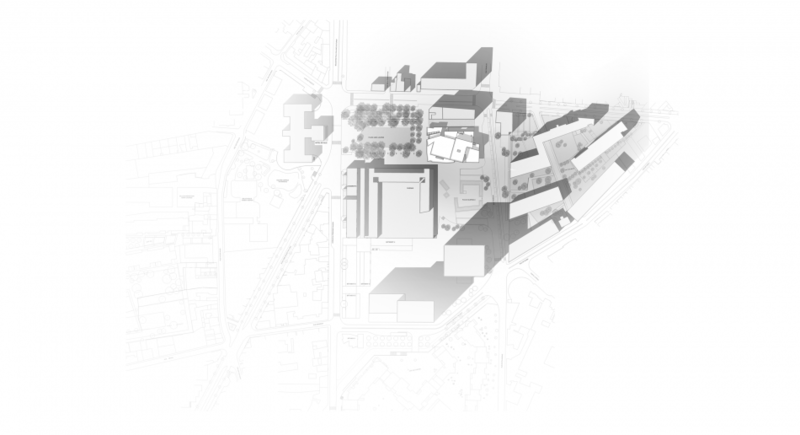 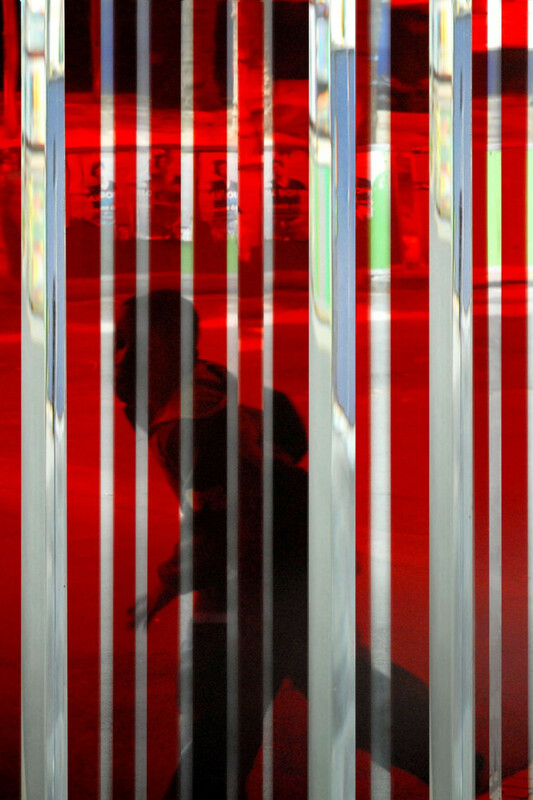 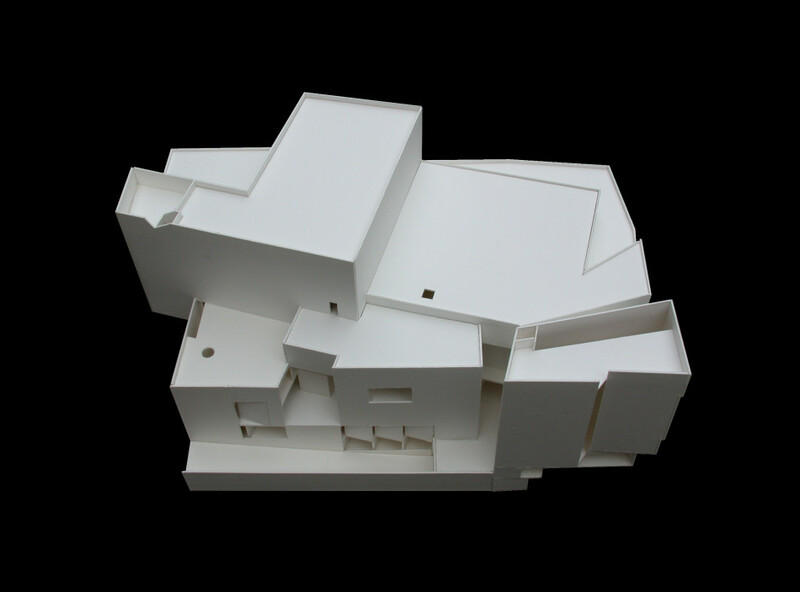 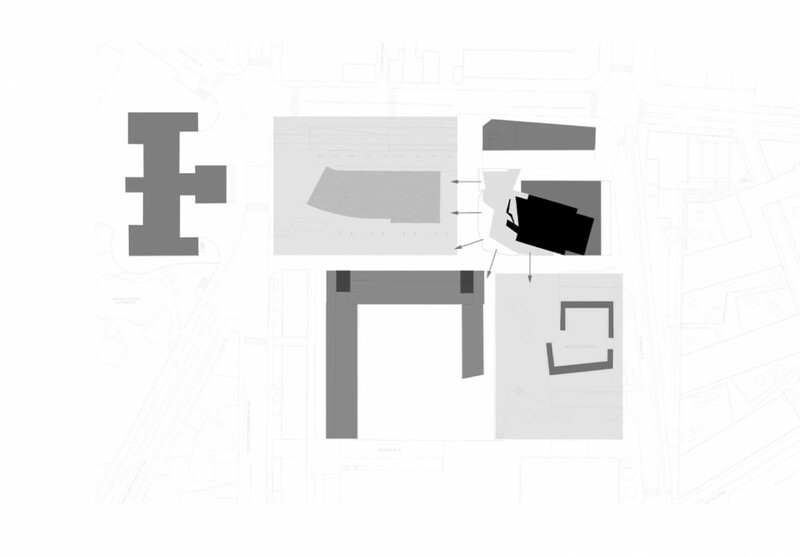 Coulon’s notion of city and architecture becomes clear in the dense building massing, which conceals a secret, but also has spaces which are open for exchange and communication. 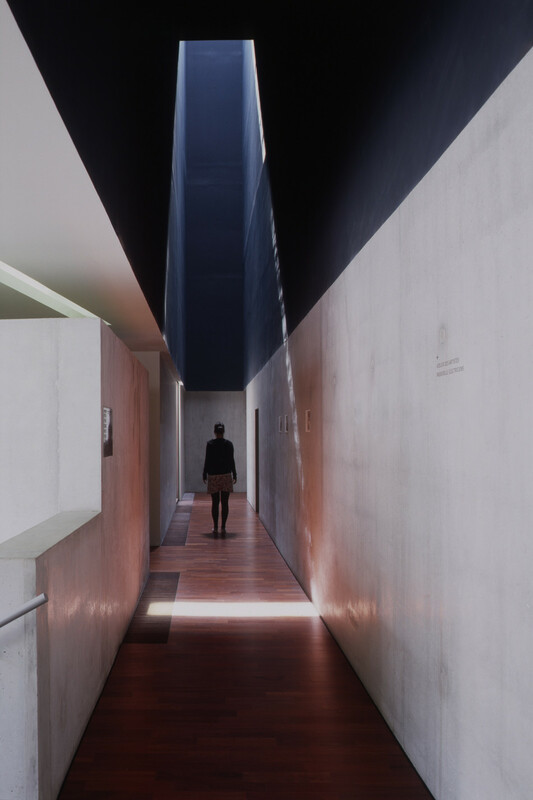 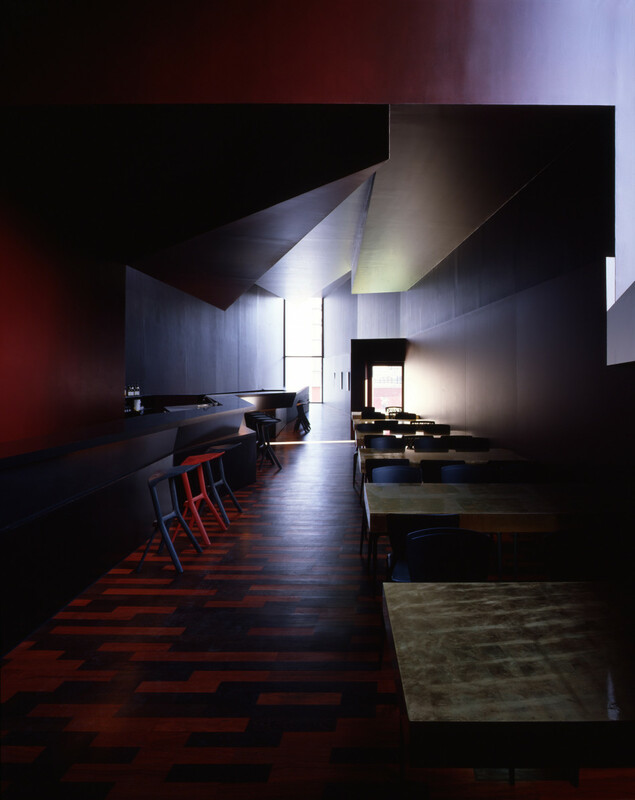 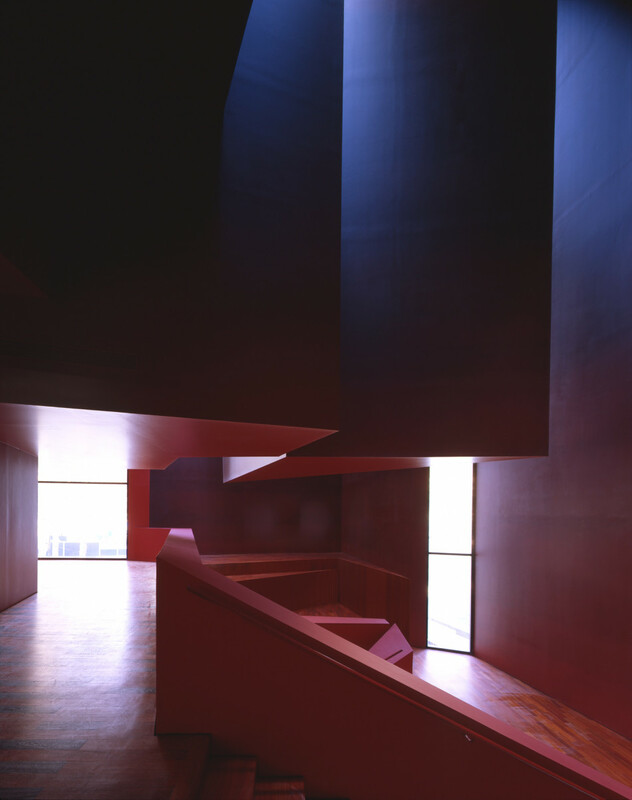 The building complex, closed like a fist, corresponds to a series of spaces which expand and contract on the interior, reminiscent of the implausible spaces Alice in Wonderland traversed. 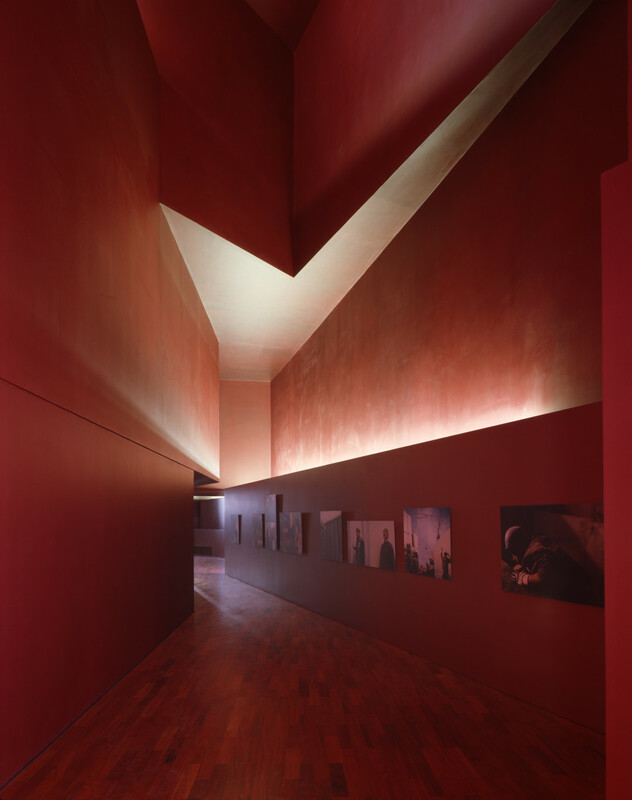 In the entrance area, the ceiling above the reception desk has multiple folds, similar to a geological zone of convergence, where tectonic plates are on a collision course but manage to slide past each other. 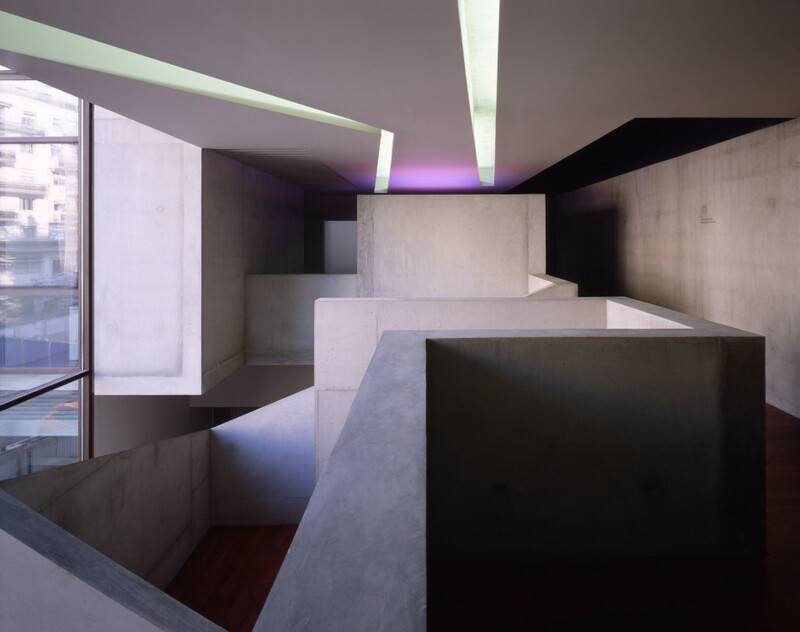 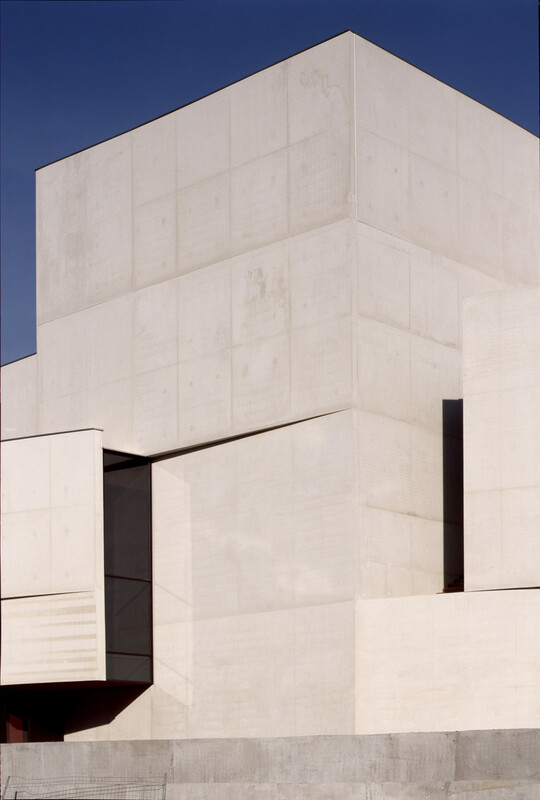 In the stairway, gyrating concrete volumes are bathed in Caravaggesque light. 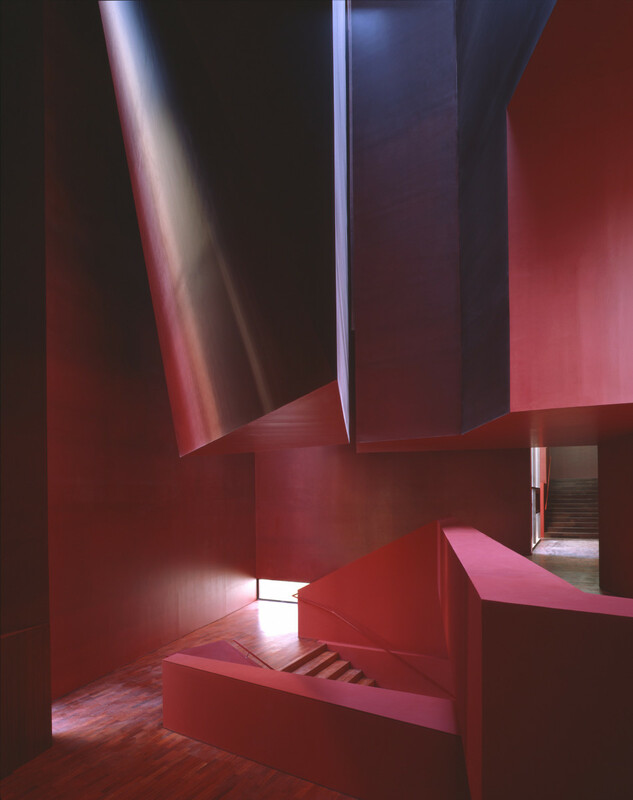 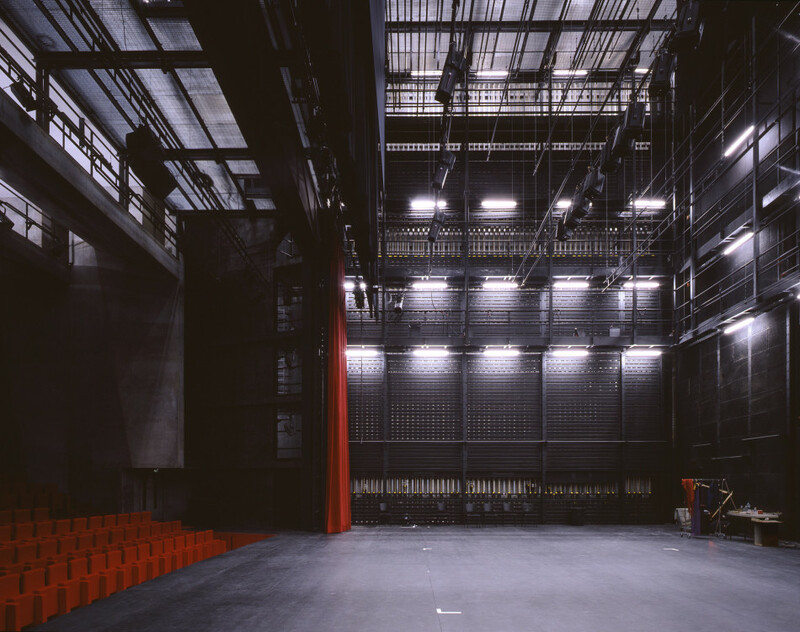 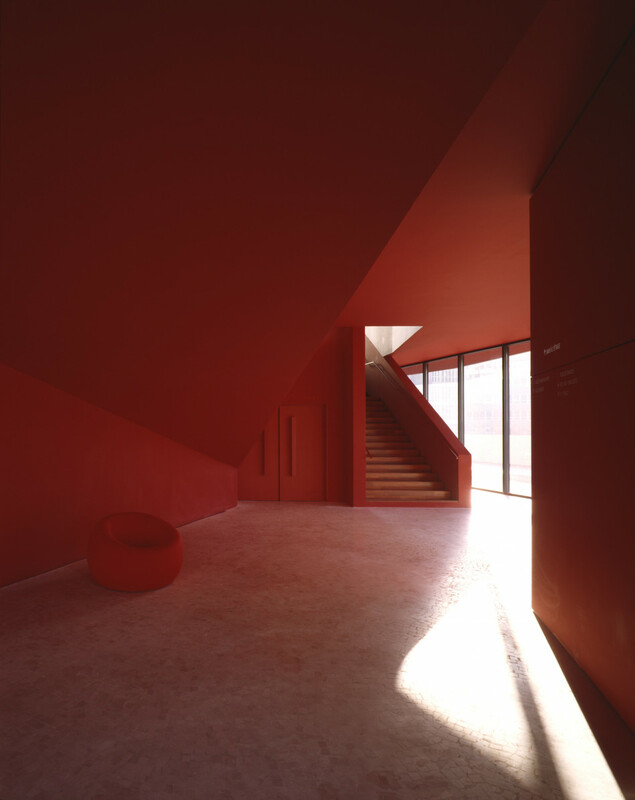 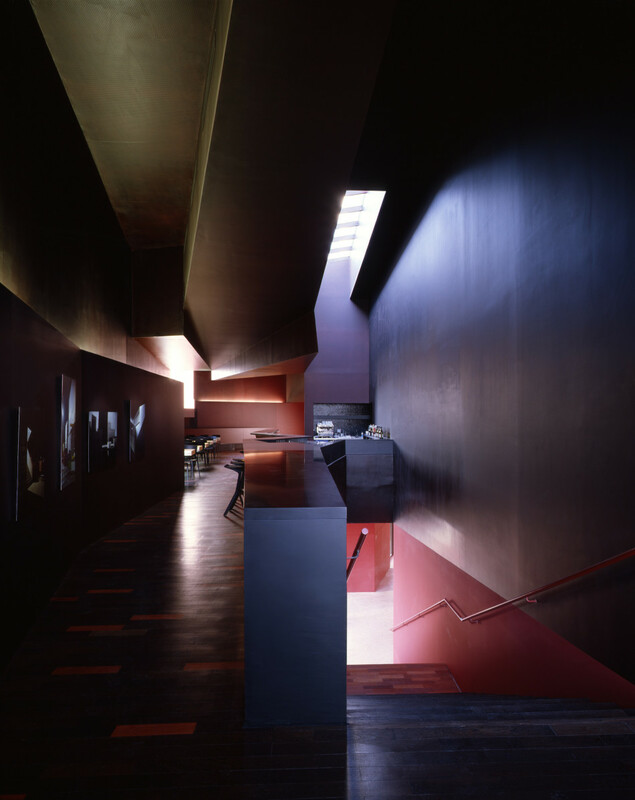 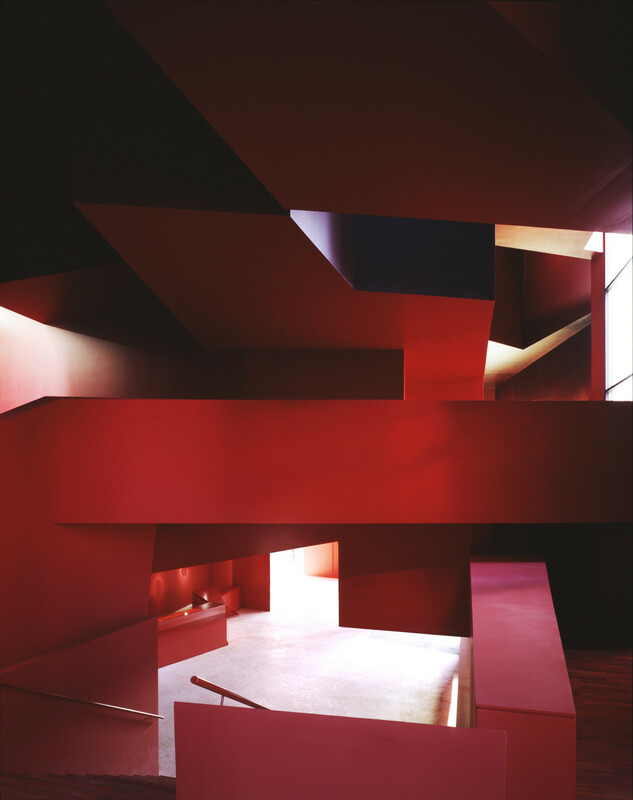 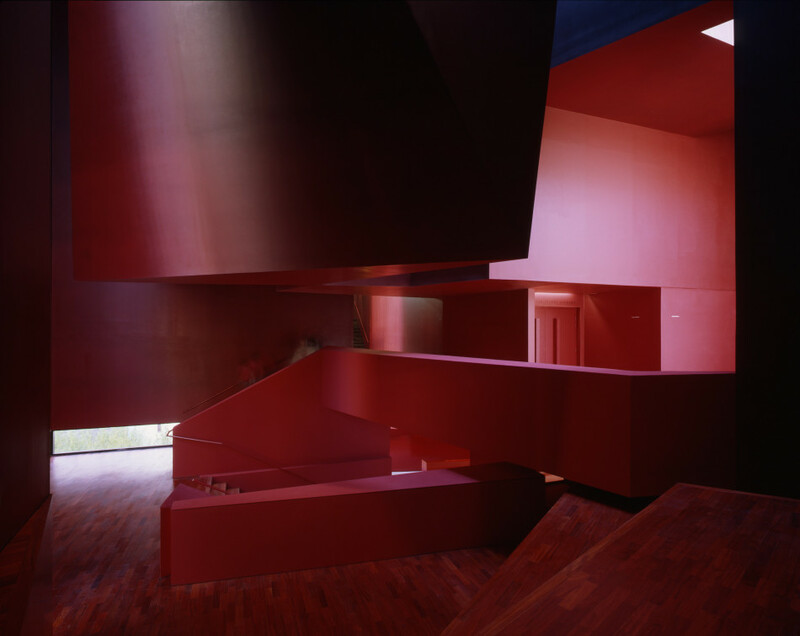 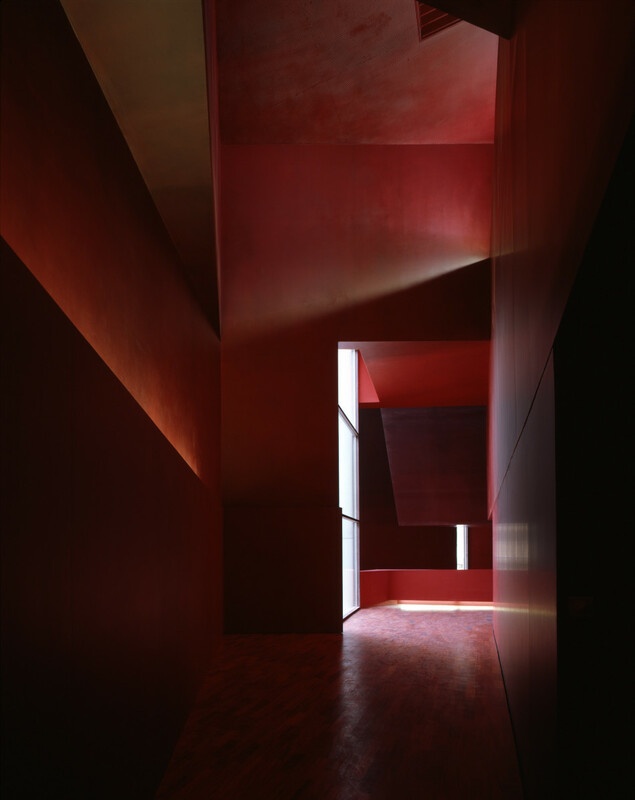 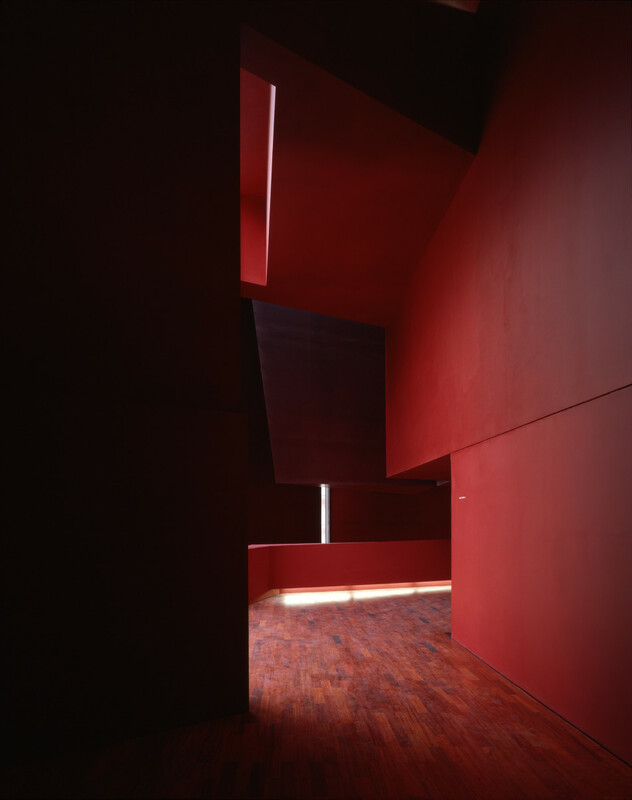 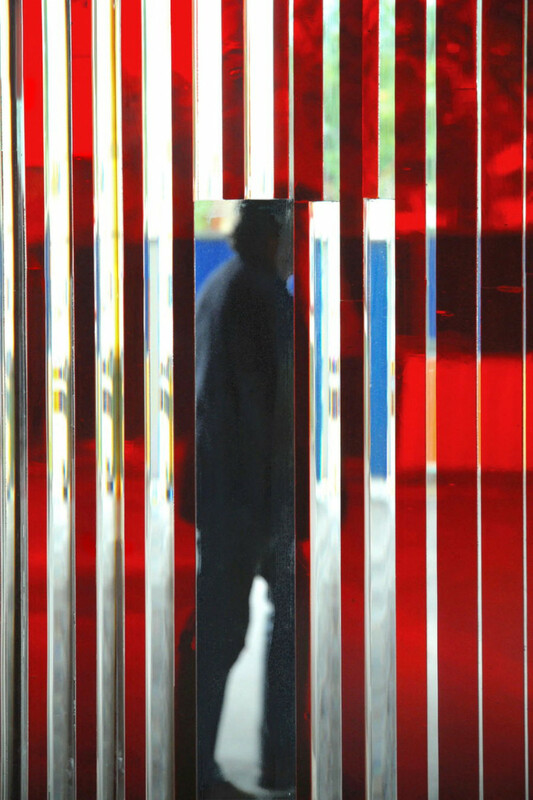 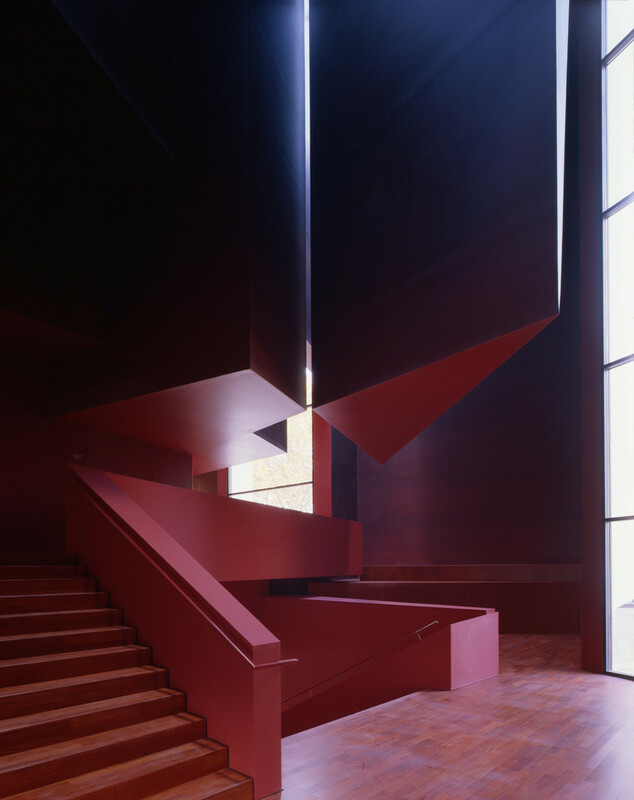 Dark and light, empty and full, this red space expands horizontally, ultimately leading to the auditorium, and then contracts until it becomes lost in the darkness of the foyer. 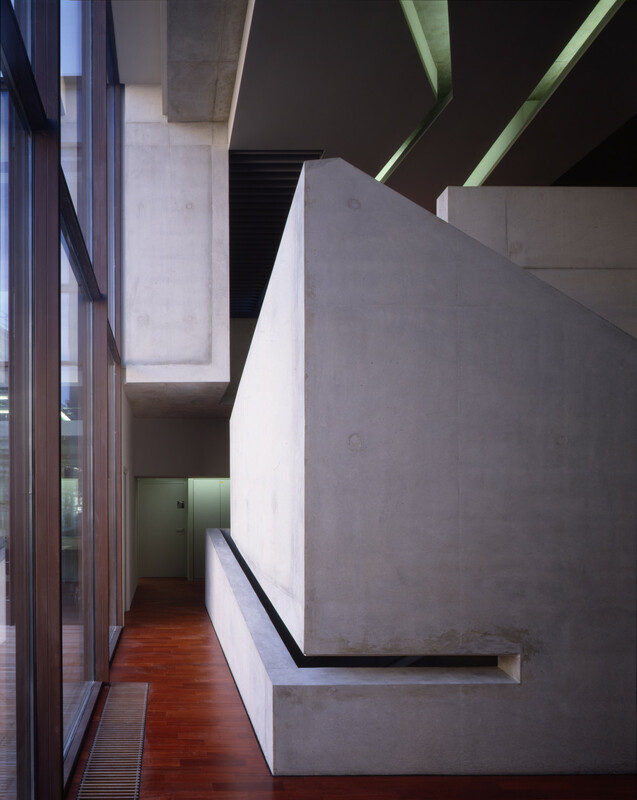 Breaches in the building envelope occasionally offer up views to the city and allow daylight to penetrate deep into the space within.